The next annual SAE Steering Committee meeting will be held in 2017. The place and date is not announced at the moment. The Section on Archival Education and Training (SAE) held the 4th Asia-Pacific Conference on Archival Education on Monday 5 September in Seoul in conjunction with the International Congress on Archives. The theme was: Internationalization of Archival Education: Challenges, Opportunities, and Achievements. It is with great sadness that we report the death of Professor Eckhart G. Franz on 16 March 2015. In the 1980s he was a very active member of ICA and an honorary member of ICA since 1996. Portland USA, Freiburg and Cologne and completed his PhD in 1956. He started his archival education at the Marburg State Archives in 1957 and finished it at the Archives School Marburg in 1959. From 1959 till 1971 he worked at the Marburg State Archives and was Director of the Darmstadt State Archives from 1971-1996. He was president of the Association of German Archivists (VdA) from 1977-1985 and was named as an honorary member of the association in 1996. His international activities began in 1967 when he worked for UNESCO and the German Foreign Affairs Office to describe the records of the German colonial administration in German East-Africa, which are currently part of the National Archives of Tanzania in Dar es Salaam. In 1962 he took part in the Stage technique international des archives (STIA) in Paris and came in contact with colleagues from all over the world including some who worked for ICA in Paris. Later he was a guest-lecturer at the Stage technique. He maintained good contacts with members of ICA headquarters and in the late 70s became a councillor to the ICA secretariat. At the same time, his interest in the situation of archives in less developed countries led to membership on the Committee on Archival Development. Some years later, from 1985-88 he was appointed as secretary of this committee and as ICA Secretary for Development. Between 1980 and 1984 Prof. Franz was also the secretary of the Round Table (CITRA) and a member of ICA's Publication Committee. From 1984-88 he was a member of the Section of Professional Archival Associations. In addition to all these activities and his tasks as Director of the State Archives in armstadt, he was a lecturer at Archives School Marburg from 1962, fulfilling this teaching assignment until 1996. His commitment to archival education led in 1988 to his taking leadership of the Committee of Professional Education and Training (CPT). In 1990, when ICA planned to form a section for Archival Education and Training (SAE), Prof. Franz agreed to accept the challenge of transforming the CPT into SAE. He served as the first president of SAE until the end of the term in 1992. At the XIIIth meeting of the General Assembly in Beijing, China in 1996 honorary membership of ICA was bestowed upon Prof. Franz for his commitment and services, half a year before his 65th birthday. He died on Monday evening, 16th March 2015, at the age of 83 years. The Training the Trainer resource pack is intended for anyone who wants some guidance or direction in planning, organising and delivering effective training for both professionals and support staff whatever their working or learning environment. The bulk of the pack addresses the various techniques for delivering training but it also covers the practical administrative tasks that are essential for successful training courses and which underpin the training content. The Training the Trainer project was part of the ICA Section for Archival Education and Trainings Medium Term Plan for 2000-2004, when the peer review draft came out. Peer comment was incorporated and the pack was completed in December 2005. The authors, Margaret Crockett and Janet Foster, are Co-Directors of the Archive-Skills Consultancy and based the pack on their experience of delivering both training the trainer courses and archives and records management training. During the last years, ICA-SAE has produced a lot of new translations. Digital Records Pathways: Topics in Digital Preservation (hereafter Digital Records Pathways or ‘the modules’) is an educational initiative developed jointly by the International Council on Archives (ICA) Section for Archival Education (SAE) and the InterPARES project. It contributes to the education and training of archivists and records professionals responsible for carrying out the preservation of authentic, reliable and usable digital records, based on the research findings of InterPARES. View Introduction Video for Modules (Note to viewers: Some web browsers may prompt you to install Silverlight, (similar to Flash). Silverlight allows you to play the video. It is free, takes 30 seconds to add, and only is required to be added once. You can access the download here: http://www.microsoft.com/silverlight Simply follow the prompts. If you do not have sufficient privileges to download and install on your network, please see your network administrator). It is with great sadness that we report the death of Marian Hoy on 29 October 2012. She is deeply mourned by SAE members who have lost a dear colleague and friend. Always positive and optimistic throughout her battle with ovarian cancer, she was an inspiration to all who knew her. Marian was sorely disappointed when ill health forced her to cancel plans to attend the ICA Congress in Brisbane, but nevertheless she ensured that all preparations for SAE meetings were completed and that her contribution to a jointly authored paper was scripted and presented. Marian Hoy joined the Steering Committee of the International Council on Archives’ Section on Archival Education and Training in 2004 and was Secretary to the Section from 2008-2012. 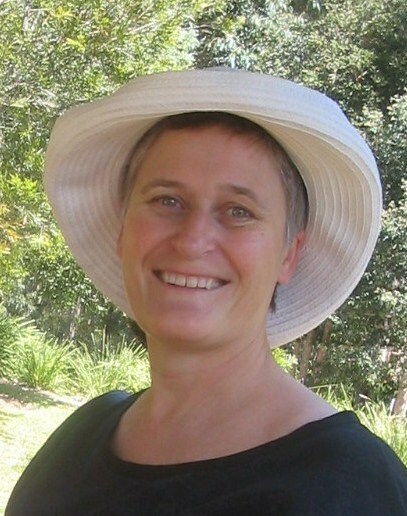 Marian held a Bachelor of Arts (Honours), a Graduate Diploma in Archives Administration, a Master degree in Education Leadership and in 2010 completed her PhD in Education at the University of Canberra, researching professional development in cultural institutions. She was a professional member of both the Australian Society of Archivists (ASA) and Records and Information Management Professionals Australasia (RIM Professionals Australasia), formerly the Records Management Association of Australasia (RMAA), active in areas of education and competency standards. Among other contributions, she chaired a joint committee of the ASA and RMAA, examining issues and trends in recordkeeping competency standards and guiding the development of a new statement of professional knowledge for the recordkeeping profession in Australia. From November 2009 until July 2012, Marian was Professional Development and Education Officer for RIM Professionals Australasia. In a career spanning 25 years at the National Archives of Australia, she worked on archival description, appraisal, automated control systems, holdings management and function-based thesauri and in the NAA’s training and professional development program. She published in areas relating to archival control systems, thesauri, professional development, training for recordkeeping and competency frameworks and professional development. She is survived by her husband Michael and children Tristan and Rachel in New South Wales, Australia. The Section for Archival Education and Training is an organ of the International Council on Archives (ICA) which is the international non-governmental organisation representing the interests of archives and archivists. The ICA Section for Archival Education and Training aims to establish closer contacts among teachers of archival science and to work towards the development of methodology and preparation of tools to assist them in their teaching tasks and in their contributions to the development of the profession. Archival education and training institutions and teachers of archival science have a crucial role to play in pursuing the establishment of a discipline of archival science which is scientifically and intellectually autonomous, administratively effective, and recognised by society. Teaching and research are principal ways in which to reach these objectives.